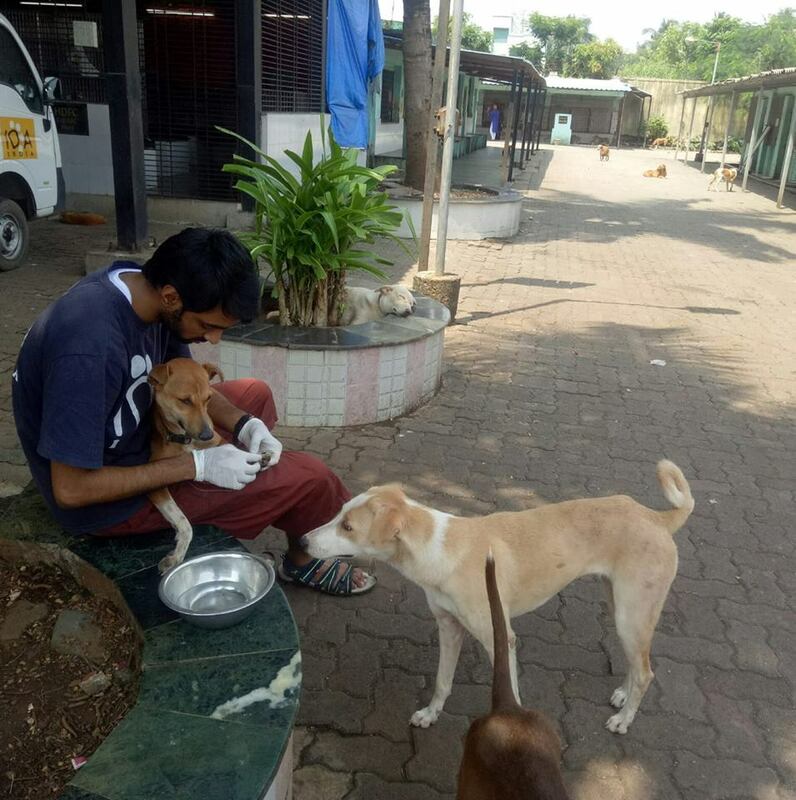 Even if one volunteer comes in, there is plenty of work that can be done. 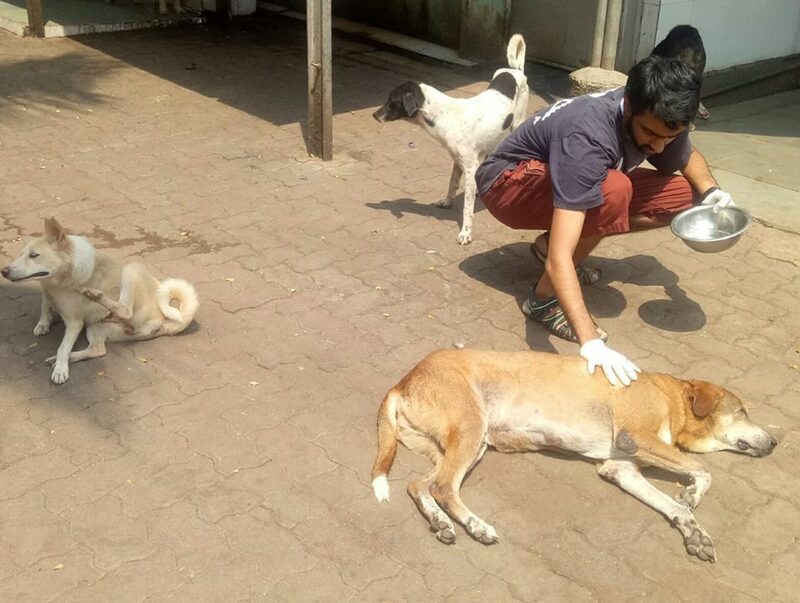 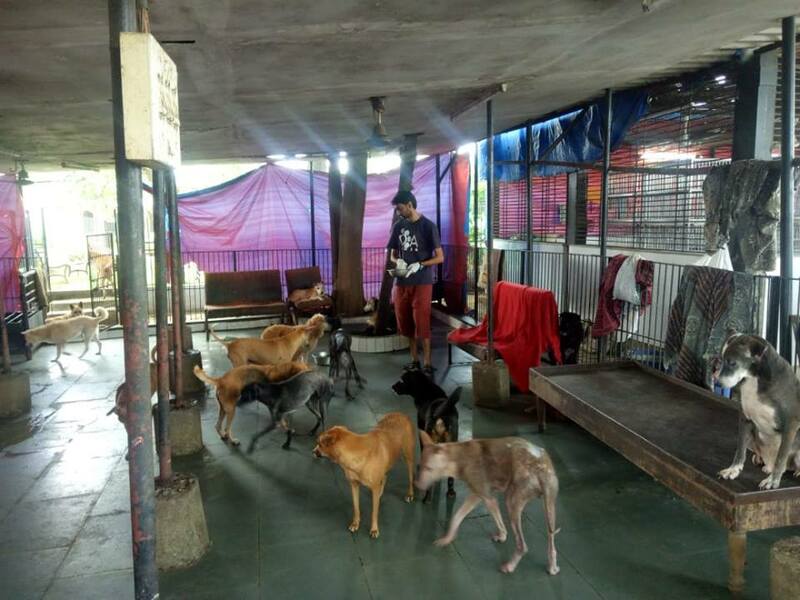 When the resident dogs are released, they are quite happy for some attention, getting their coats checked, their few ticks removed, lotion applied to sore spots and generally bonding in the most friendly manner. 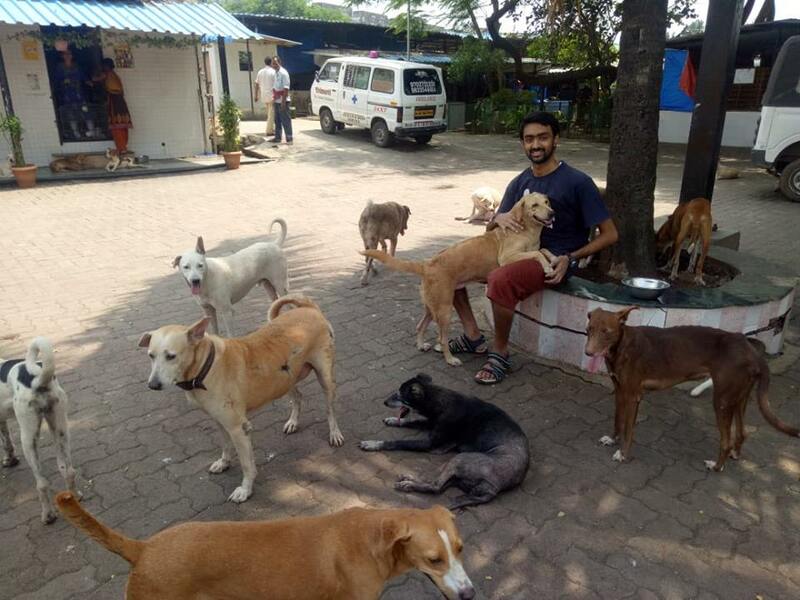 Volunteer Abhinav is great friends with them all and they are all very fond of him.